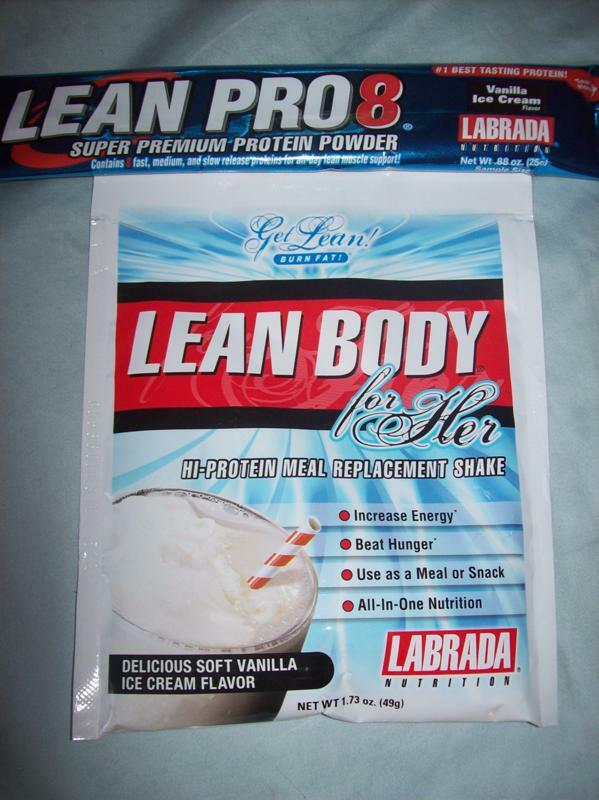 I received these two samples of protein powders from Labrada for review. I was excited to try them because they are vanilla ice cream flavored. The one is Lean Body for her and is a meal replacement shake. 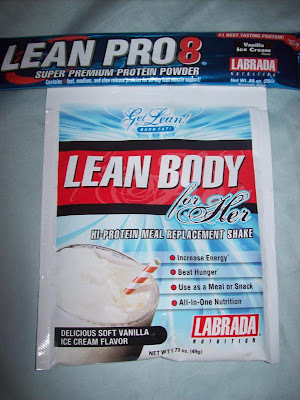 The other is Lean Pro8 which is super premium powder. Last night, I made a mango ice cream smoothie by using this protein, a mango, ice, flax meal, Maca, and some Trop50 orange juice. It was so good! This product is very sweet so for me, I would not use the whole packet but it depends on your preferences. The Lean Body for her has 30 grams of protein...wow! It also has 180 calories which is not bad for the amount of protein that you are getting. These products are great to use when you are working out or as a meal or snack replacement. They also sell many other protein products on their site. I've had a difficult time finding a protein powder that I like. I'll have to give this one a try. Thanks for the tip! Hi, I'm a new follower from the Wednesday blog hop! Hope you'll stop by for a visit, and follow me too!